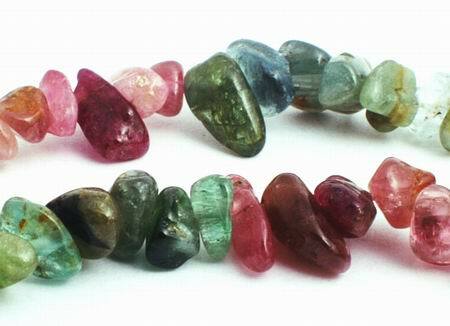 Tourmaline combines creativity and disciplite. Each bead is about 7mm. Price is per 15-inch strands of these beautiful beads ready to string. Tourmaline comes in many colors, pink being common. The name originates from 'tura mali': meaning like 'stone with mixed colors'. It is a natural source of negative ions and far infrared rays. Tourmaline is said to be the gemstone of love and friendship, and also to improve circulation, relieve stress, increase mental alertness and strengthen the immune system.